Toronto has come into its own as a foodie city thanks to an ever-evolving culinary scene spearheaded by a crop of adventurous, talented chefs continually trying new things, as well as a collection of diverse neighbourhoods that essentially allow the people of Toronto to eat their way around the world without ever leaving the city. One of the best ways to get to know Toronto on a culinary level is via a food tour – and here are seven to check out. Foodies on Foot run a popular food tour centred on Toronto’s 510 streetcar, the longest surface route in North America that crosses Toronto from east to west. The tour starts in the west in Parkdale and ends in the east in Lesliville, for a total of five stops in five different neighbourhoods where you’ll sample a variety of dishes and either get to know some new areas of Toronto, or get a fresh perspective on neighbourhoods you might not have visited for a while. One of the best places to chow down in Toronto thanks to sheer culinary variety has to be Kensington market, something Savour Toronto’s Kensington Krawl food tour takes full advantage of. The comprehensive tour hits up a cheese shop, bakery, butcher shop, spice shop and more while also providing a thorough background about the history of Kensington Market. Fans of Indian food will want to book a spot on this culinary exploration of Toronto’s Little India courtesy of The Culinary Adventure Co. Bring your appetite for this walking tour that covers a range of Indian cuisine, from street food to dessert. Snack on everything from samosas and grilled corn to butter chicken and naan bread while learning about Indian traditions and customs when it comes to cooking and eating. The Culinary Adventure Co. also runs a food tour that puts its focus on St. Lawrence Market. It’s one thing to wander through the iconic food market alone, but quite another to do so with a guide there to share insider information and historical tidbits. 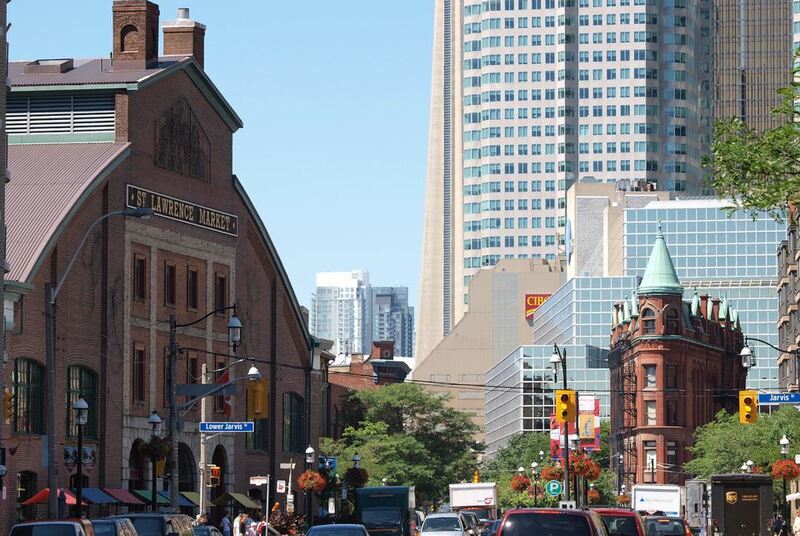 This foodie journey into the heart of the market pulls back the curtain and ensures participants get a real feel for the important role St. Lawrence Market plays in Toronto’s history as well as all of the amazing food on offer. Anyone with a love for chocolate will want to check out the Trinity Bellwoods Chocolate Tour offered by Tasty Tours. The chocoholic’s dream tour explores the neighbourhoods surrounding Trinity Bellwoods Park and some of the best spots to satisfy your sweet tooth in the area. Of course, there will be lots of chocolaty samples, but you’ll also learn more about where chocolate comes from and the history of the much-loved treat. Tasty Tours also runs a sweets-focused tour of Kensington Market which happens to be filled with great places to satisfy sugar cravings. You’ll get a guided tour on the history of sweets in the area, check out several stores selling various treats and enjoy some samples at each location as you walk and learn (and eat). Bacon lovers rejoice – there is a Toronto food tour made for you and your penchant for pork. When Pigs Fry, an Urban Adventures tour, aims to not only please the palette but also educate participants in between bacon-filled bites. Learn about sustainable ethical pig farming, pork quality and how Toronto got the nickname “Hogtown” on the three-hour tour. In addition to three pork-loving restaurants, the tour also makes its way to a local butcher that specializes in organic meats. So much going on this summer in Toronto. Here's where to start.